A few weeks ago I was in Seattle performing and I was lucky enough to drop by “Salumi” a tiny sandwich shop that is really known for it’s artisan cured meats. Owned and run by the Batali family this place was great! 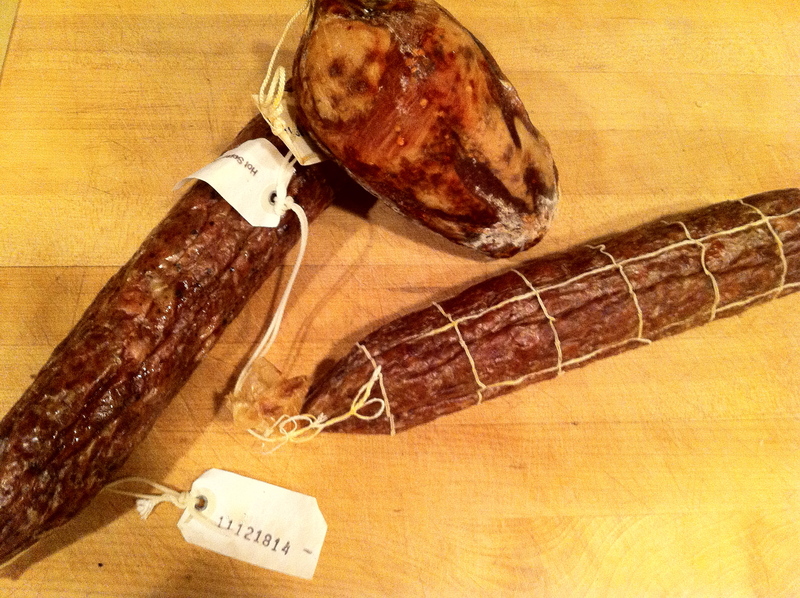 Gina Batali gave me a tour and I was in cured meat heaven! She was sooooooo nice. Thank you Gina! I got there late, and a lot of stuff was already sold out but I was able to get a couple of things. 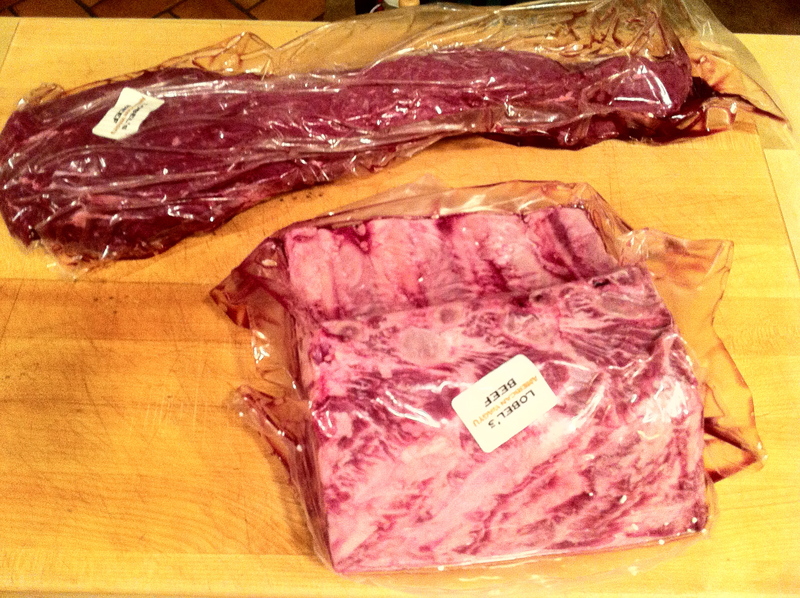 I recently ordered a whole Wagyu Beef tenderloin and standing rib eye roast from Lobel’s online. The purpose was to do a lil ghetto butchering! I originally was going to carve both bone-in rib eye and cowboy steaks but my butcher told me that cowboy steaks were just a fashion cut and that it wastes meat soooooo…I couldn’t do it. 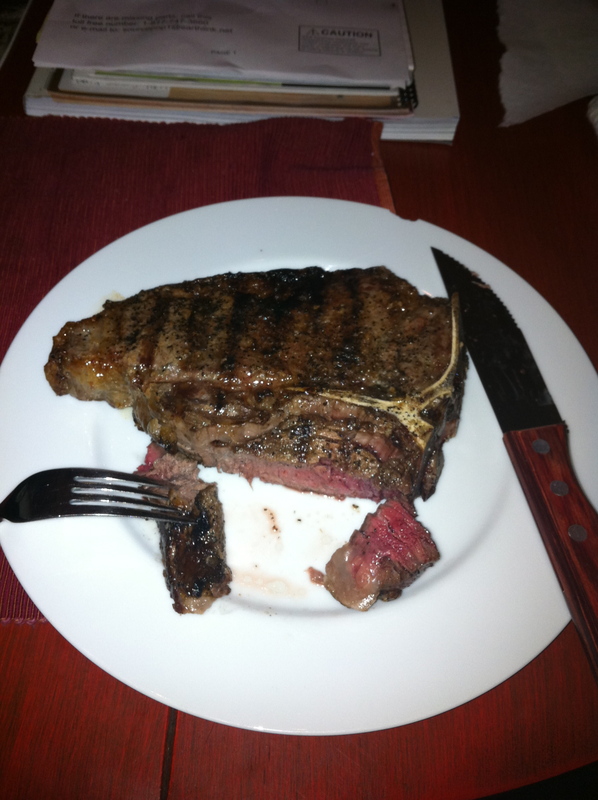 Then, I was going to carve a boneless rib eye steak but the steaks taste so much better bone-in and you can always bone the steak after cooking. 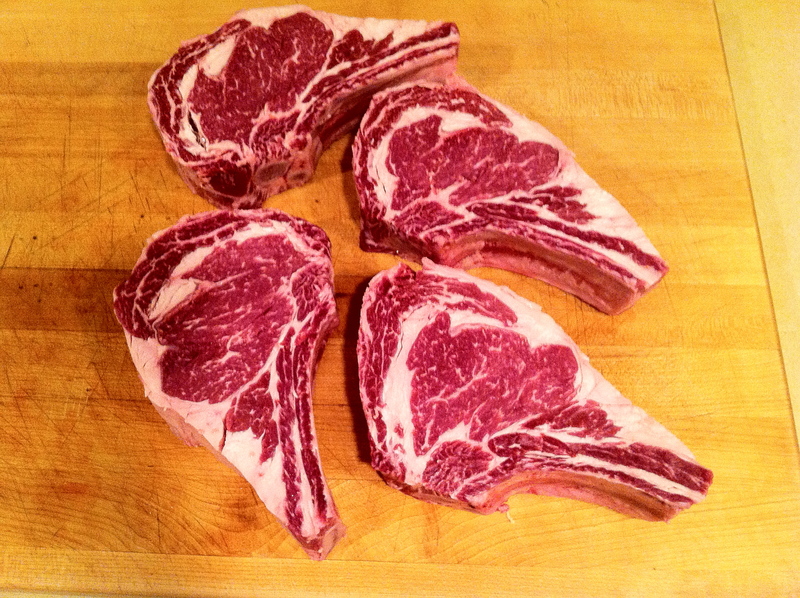 so I simply broke down the roast into four beautiful bone-in rib eye steaks! 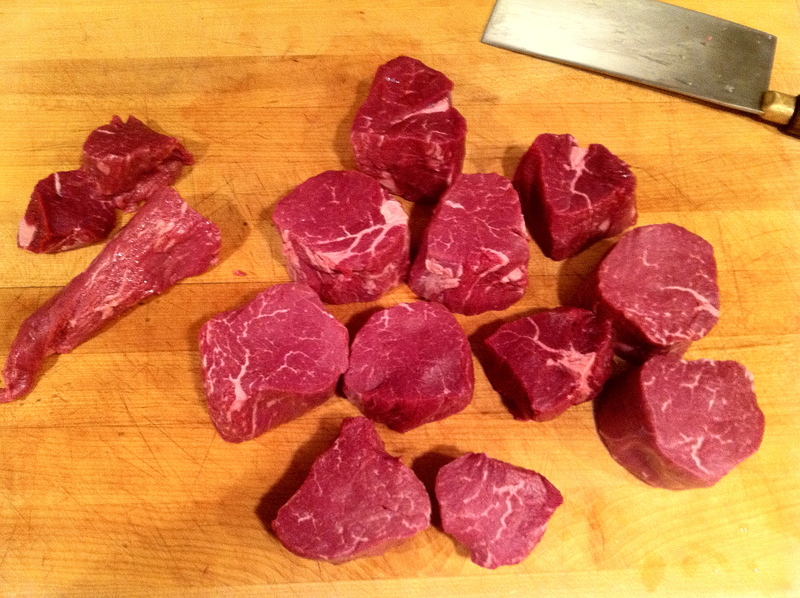 I didn’t have remove any excess fat from the steaks as they came so beautifully carved out of the box! 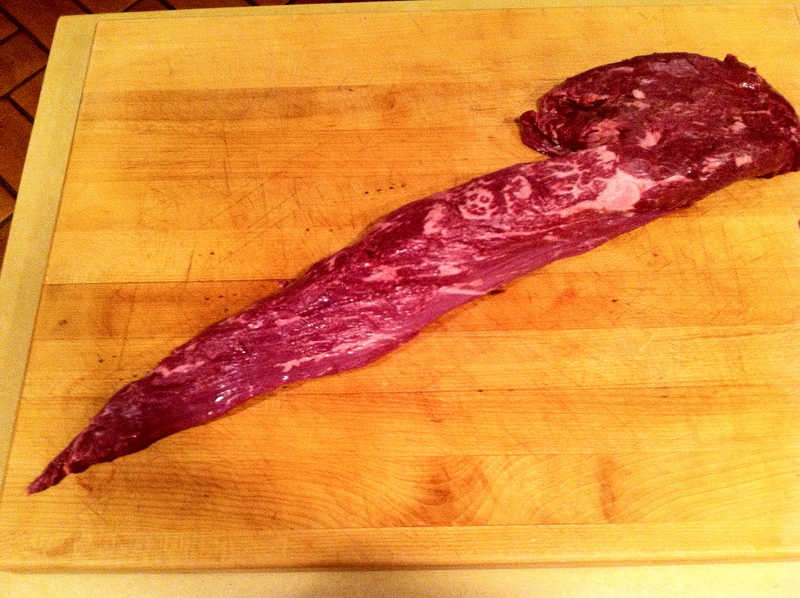 Next came the tenderloin. I’m going to use some technical butchering terms right now. You see that side hanging part thingy at the top of the tenderloin. I removed that and the tip. I could have trimmed and tied that and made a tenderloin roast out of it but I cut a bunch of meaty tenderloin steaks and bagged and froze them. I love to make a nice simple salad and thin slice a rare tenderloin steak on top. I hardly use any dressing as the juices from the steak flavor the salad greens. Hardly any left over meat scraps! 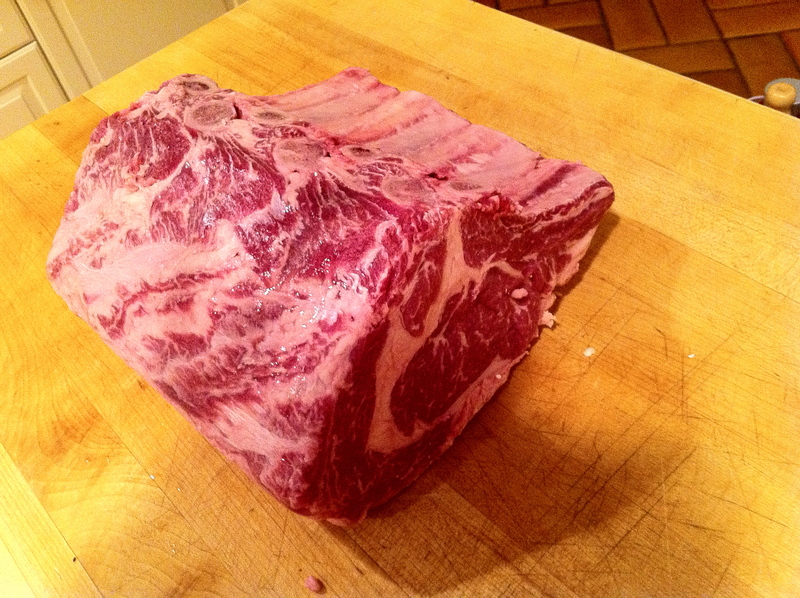 *I broke down a tenderloin I ordered from Niman Ranch a few years ago and I had to do a lot more trimming and I even dry aged it for an additional 45 days in my fridge. Man, was that meat stinky tasty! I grill it on both sides until it’s crispy and the meat is sealed,and then I finish it off in a 400 degree oven for around 7 minutes. A truly great steak! All you need is salt, pepper, and heat! DAG, a beautiful job with those steaks! 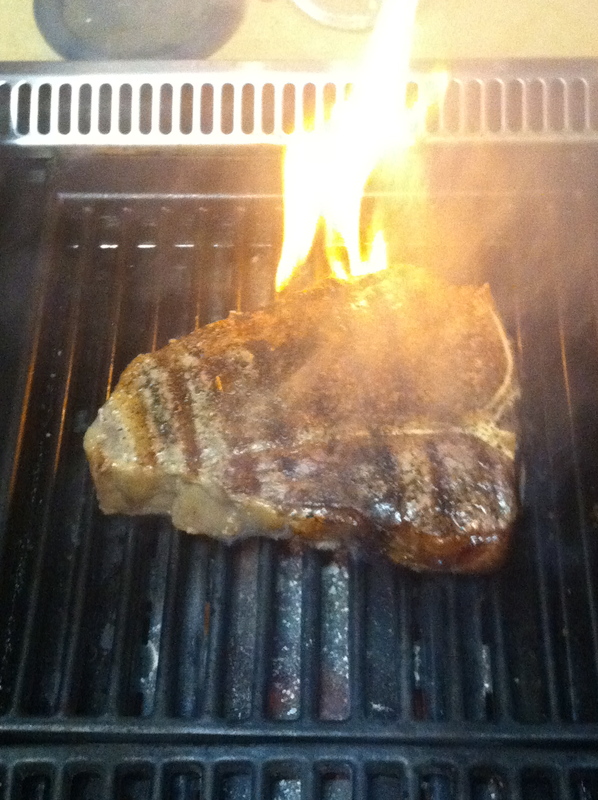 Did you coat with butter/oliveoil prior to searing? Great looking crust. Those are truly some beautiful steaks! I will have to try a filet over a salad- sounds tasty. those rib eyes are so beautifully marbled! I am extra jealous… when can I come for dinner? Is that a Dexter-Russell Chinese Cleaver? I love mine. No, that is a China town meat cleaver!